Routine works best with brain injury. Most survivors place things in the same place all the time. Anything out of order, disrupts many aspects of life. Disruption affects everyone in the family when it creates loss-of-control. Disorganization creates chaos. This causes the brain to become cluttered and unable to sort through simple things. Some things are less bothersome than others. Every injury and brain dysfunction are different. Most are correctable issues. I really never understood this until my injury. Throughout the years after my daughter’s birth with mild cerebral palsy and seizures our home needed to be organized beyond the routine organization. One thing misplaced would put her into crisis mode. This organization and routine was already in place for many years when my injury occurred, making things much easier to adapt to in my life. I guess one might say if you were to be prepared like the Girl Scout slogan “Be prepared” I was prepared more than most people when brain injury happens. I just never thought it would happen. After all, I’ve had many injuries before and I recovered. Why would I ever think I wouldn’t recover? I would have given anything to have my daughter have the experiences in life I had. Here I hope to highlight a few things being a parent of a child with “mild” brain injury, seizures, and cerebral palsy. A brain injury at birth is different from a traumatic brain injury later in life. A tribute to the years from 1973 and beyond! Like other parents, we were and continue to proud of all her accomplishments. She has never been a disappointment as our child … with those few “normal” exceptions of parental frustrations of course! She never had the “before” and “after” injury comparisons except the injuries she endured from severe falls because of motor coordination or seizures all related to birth injury. a parent, these injuries were questioned and “abuse” was assumed but not actually accused by some, but totally without merit … until the proper diagnosis. Proper diagnosis took years, because of medical errors and poor judgement calls to withhold information from patients and families. This has since changed in the world renowned healthcare facilities nearby. They are now more apt to admit mistakes, and come forth with helping families. This is a significant positive change for healthcare and hopefully fewer families will be in turmoil over healthcare issues. Everyone makes mistakes, but it’s what isn’t revealed that is hurtful. I would encourage anyone having difficulty with children falling frequently, behavioral and emotional problems, fine and motor coordination difficulties, cognitive and memory inconsistencies, and other issues to document them and see a child neurologist. 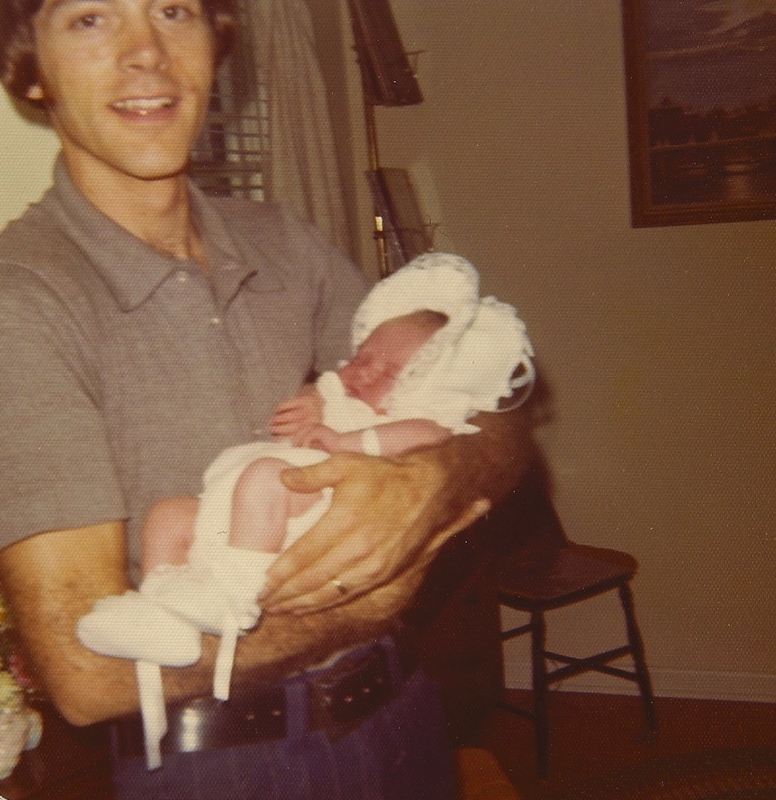 This baby has inspired many to learn about cerebral palsy, seizures, and brain dysfunction since July 4, 1973. You will be assumed or accused of things without the proper treatment and diagnosis. It is not normal! It was her normal and others didn’t understand. If they understood her “normal”, her frequent falls and injuries would never have been questioned. A “normal” for your infant, toddler, child, teen, and adult may be very different than what society considers “normal”. Everyone has a baseline of health, also considered “normal” for only that individual. Make sure you are clear if they are comparing “normals” to most people or that person’s “normal”. Yes, it’s “normal” for a baby to cry. It can also be abnormal in duration and intensity. Yes, it’s “normal” to fall. Everyone falls. It’s not “normal” to fall several times a day, a week, a month, or even a year. Yes, it is “normal” to forget. It is not “normal” to forget several times an hour. It’s about perceptions. Most of us “blow it off” if we are told it is “normal”. You are your own best advocate. If you know it is not “normal”, pursue the problem until you get answers. Do your research. As our teenager struggled to find a “normal” in her life, her perceptions were distorted. She knew she was different from most children. It was obvious in her educational years. She was never treated any differently and she was expected to meet all the expectations of all children. Her teachers were excellent in school. She had specialized tutoring. She was a special child with needs different than others in her classrooms. Her positive demeanor, her smile, her sense of well-being, her confidence, overshadowed her struggles. What more could a parent ask? She owns her own perceptions and we accept that. One summer day the police arrived at our door and we had no idea why. They asked if they could speak with our daughter who was washing the kitchen floor. We let them in as requested. When perceptual experiences differ from “norm”, it makes for a confusing world. Most teens would not find washing the kitchen floor abusive. Obviously, she felt “washing the kitchen floor” as an abusive punishment. As parents, we thought it was a chore, but that was our perception. While talking to an acquaintance she relayed this message to another teen who then called the authorities. These types of situations among teens are common. Two teens with different perceptual abilities. Who perceived it to be abusive doesn’t matter. It just shows how everyone has different thoughts and abilities and one responds to their perception. Certainly, we all know teens think very differently than adults and is a difficult time in their lives. This ended as a positive experience from the authorities. They talked with her and told her “they wish they had a mother to wash her kitchen floor”. I think this conversation with an outsider of authority figure was impressive on her concrete thought processes. Screaming and crying that occurs as an infant, toddler, and child can become unbearable for families. I can’t even imagine the signals her little brain was providing her body. When the nervous system is disrupted there is not “normal” body functioning, and how can we understand what an infant or toddler endures when they don’t know anything else but a “chaotic” nervous system? They perceive pain with a high sensitivity. Far different from one who has a high tolerance for pain. This was one thing I found difficult to understand until I believed that pain is “whatever the person says it is and no one should question another’s perceptual experiences”. Another GREAT article on a topic rarely discussed – and boy are you right ON here. Sad, isn’t it, that it takes an experience of struggle in our own lives to jumpstart the empathy response in practical ways? Always love your blog – and SO appreciate your sharing. It seems like when there is a deficit in one area, there’s a “genius” in another area … that’s what I’m finding in those with ADD, ADHD and now brain injury and other medical problems! The incredible areas I describe as “genus” seem to surface as a way of compensating, but it’s areas that might not be used if everything were “normal”. I’m beginning to think that those who have a challenging brain are far more successful than others because they know how difficult life is, and “has been”. These are the most empathetic people I’ve encountered. God Bless the challenged people … that’s how the World becomes a better place! Take care and stay safe. Thumbs up for empathy – maybe that’s why we’ve been so challenged? Because the world NEEDS more empathy and far less censure. Great information and insight. Glad to hear you have found solutions. It must have been very “exciting” when the police showed up to investigate you. <:} As a kid who had neurological issues, my parents often "went to bat" for me, when teachers threatened to punish me for not following directions. My parents had to explain that indirect references and innuendo did not work with me, nor did sarcasm. Teachers needed to be direct — to tell me specifically NOT to do things — or I would take initiative and just do as I pleased. It wasn't out of rebellion, I just had my own ideas about how things were — or should have been. 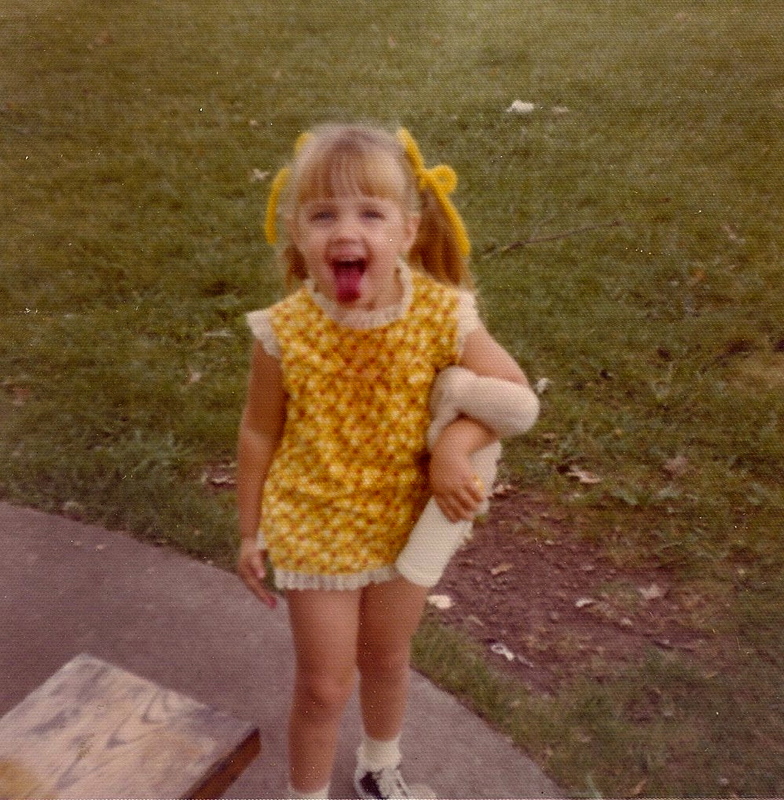 Every now and then, I would act out as a young kid, but then I would "take my lumps" like everyone else, learn my lesson (that is, don't get caught), and move on. People definitely need to be aware of neuro issues with kids — it's not just a character issue or rebellion. Sometimes we literally don't know what the deal is. We expect children to all learn and behavior similar. Actually, it makes for an interesting world that we are all different! Unfortunately the world is not accepting of differences! We find that the people who understand and help are those that have been there personally or with someone they know. Life is a journey. I’ve read a few just right stuff here. Certainly price bookmarking for revisiting. I surprise how so much effort you put to create such a wonderful informative web site.